OKCU Students: Are you looking for a way to give back to our community both on and off-campus? Do you have a passion for service and volunteerism? You should sign-up to be a member of Star Corps! Members of Star Corps are provided with a plethora of volunteer opportunities and service experiences. 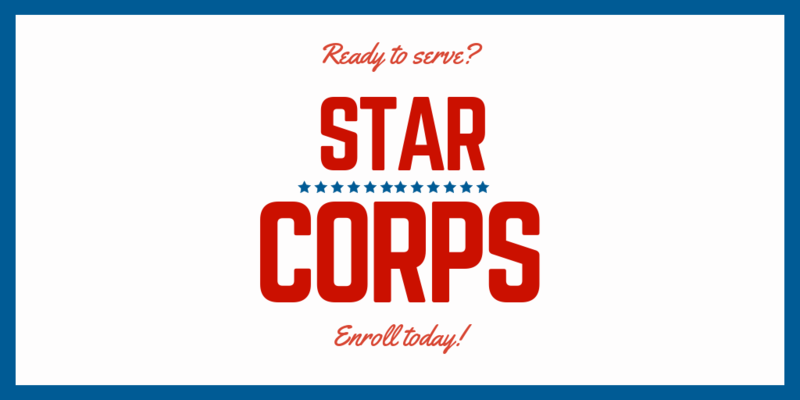 Students can sign-up for Star Corps HERE. Community Members: Do you represent a community organization that is needing volunteers? If so, OKCU would be happy to share your volunteer opportunity with our university community, particularly with the members of our Star Corps! Please email Levi J. Harrel, Director of Student Engagement, with all information regarding your volunteer opportunity.